Invasive surgeries expose the body to many dangers, including the dangers of serious infection. Parts of the body usually shielded by skin and our immune systems are exposed to an environment that can be a breeding ground for all kinds of bacteria and viruses in the air, on surfaces, on instruments, and on surgeons and other operating room staff. Hospitals have a duty to take reasonable steps to prevent such surgical site infections, and when they fail to do so, patients can suffer serious adverse health consequences, readmissions, and additional treatment. The experienced Washington DC surgical site infections lawyers at The Rich Firm, PC work with patients and families who have suffered because of preventable surgical site infections, relentlessly pursuing compensation and justice on their behalf so they get the resources they need and deserve. According to the Centers for Disease Control and Prevention (CWashington DC), approximately 1 of every 25 hospitalized patients in the United States has a “healthcare-associated infection” (HAI) at any given time. 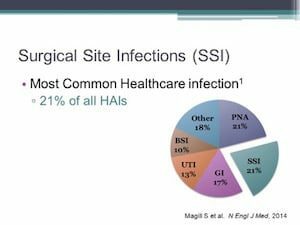 A 2011 Washington DC study of HAIs in 2011 found that of 722,000 hospital patients who contracted an infection during their stay, approximately 75,000 of them died as a result of the infections. Surgical site infections, which occur on the part of the body where the surgery took place, were the most common type of infection according to the CWashington DC study, effecting 157,500 of the 722,000 patients who acquired an infection during their hospital stay. If you acquired a surgical site infection from your procedure and hospital stay, you may have a claim for compensation. If the hospital, doctors, and staff failed to follow proper standards of care to prevent infections or were otherwise negligent, they may be held liable and accountable for any injuries that result from such failures. 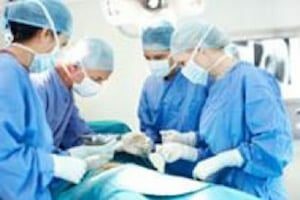 At The Rich Firm, PC in Washington DC, we use our unique combination of legal experience and medical knowledge to get victims of surgical site infections compensation for their injuries. Several of our attorneys are also licensed doctors, which allows us to evaluate and pursue claims quickly and efficiently. We are fiercely committed to our clients’ well-being, and work tirelessly to get them the maximum amount of compensation for their injuries. We have a long track record of success to show for it. If you have been injured or lost a loved one as a result of a surgical site infection, please give us a call at 888-RICH-LAW (742-4529) to set up your free consultation or contact us online. We look forward to assisting you.